Skylar Szynski, who led Penn to a state championship in baseball in June, traveled to California this summer for the Area Code games. The Area Code games are sponsored by New Balance. Szynski played for the White Sox organization. The White Sox searched for the best talent and found Szynski. 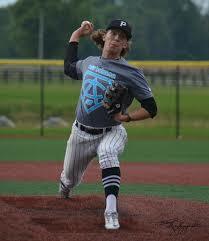 From August 2-9, Szynski pitched against some of the top high school talent. Szynski also met a lot of new people and made many new friends. “It was fun and a great experience,” Szynski said. He was able to get four innings pitched and did well. This was a great opportunity and experience for Szynski.